At Mozilla, we believe in the power and potential of the Web and want to see it thrive for everyone, everywhere. We’re committed to building the infrastructure needed to keep the Web the most robust platform on the planet. Although its roots have been around for some time, Mozilla’s focus on games is a relatively new initative. We are focused on making Firefox the best game development platform possible. The project required very few code modifications to the original game, which demonstrates that porting games to the Web does not have to be difficult. Our focus for the first half of 2012 was Firefox for Windows, Mac and Linux, and while we continue to make improvements there, our focus for the second half of the year will include Firefox for Android and Firefox OS. There are hard challenges ahead but we are excited to deliver the maximum potential HTML5 has to offer, both in features and performance. One of the main goals of the Mozilla Community working on games is to not only drive game development on Firefox but across all browsers. Any browser that has implemented the necessary modern Web standards used by the BananaBread demo can run it. These efforts help us stay in touch with how HTML5 is coming together and see opportunities where we can make developers’ lives easier. Hearing directly from the HTML5 game developer community is a key part of how we learn what needs to be done. I hope you’ll come and join us in raising the bar on what’s possible! You can join the conversation on our IRC server at irc.mozilla.org, channel #games. Martin is currently the Director of Platform Product Management at Mozilla. Although WASD controls is only usable on qwerty keyboards, and I haven’t found a way to tweak that. Looks and runs great! The underwater effects are particularly awesome. Awesome! Can’t wait till someone creates the equivalent of “Ocarina of Time” for the web. Impressive. Any chances in seeing a future version that supports online multi-player? It is something we are considering when WebRTC (Web Real Time Communication) lands which will allow peer to peer communication channels. It contains UDP and TCP like protocols so could work well. No commitment on that but we would very much like to see what we can do with that tech. Very impressive, the start of something big. We certainly hope so! Still work to do but definitely progress in the right direction. Is it a re-usability, performance, productivity, or simple preference reason? It’s like the Angry Birds desktop version which has been compiled from a Java library AFAIK. Is there any chance we can directly use Three.js for our games in the future? I see the web as a standard and unique high level language, why using another high language to implement our games, is it too early? 1. Compiled C++ to JS is often faster than handwritten JS, since it avoids things like GC, property accesses, etc., and focuses on things JS engines can optimize very well. However, you can apply those same techniques to the speed-intensive parts of your application. 2. Others are already releasing product using hand written code and we are using their existing test cases to optimized for that use case. 3. Porting tech like this has a lot of challenges so we thought this was an under serviced area where we could add significant value. It’s pretty difficult code to wrap your head around so we wanted to take on this challenge in house. 4. We are not a game development house and we had a small budget, much less costly to port. Here is a link the the FAQ that covers how to fix this although the next post does also answer your question. I just tried but the 0 of a French keyboard doesn’t seem to be functional to enter the menu (I don’t have a separate numpad on my laptop and numbers on the main keyboard are not directly accessible, you have to hit shift+0). Gamepad is on our list, getting PointerLock and FullScreen was determined to be higher priority as more users have the necessary accessories to take advantage of them. The number of people that have Gamepads hooked up to their PCs or Smart phones is relatively low compared to those that have a mouse, touchpad, or touch screen interface. I’m very impressed with this demo, and i must say i loved the idea of using Cube 2, i’m a personal fan of this game. 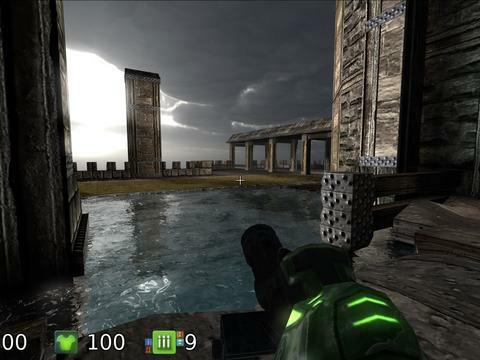 However the set of levels is quite limited, and there is no multiplayer. I’m aware that this is just a demo, but is there any plans to extend it to a full Cube 2 port? We do have two more milestones planned, one for multiplayer support and the other to add support for editing. However, both of these are dependent on either community taking them on or continued internal funding to drive development. Since we have a very good Firefox platform reason to attempt multiplayer as a real word use case of WebRTC, I’m hopeful that we will have the chance to tackle that but no confirmed plans yet. Eh, it crashes the moment the bullets start flying.